Large colonial sits beautifully in front of a large green space area. Two story foyer welcomes you & directs you to the living room & formal dining room. Open kitchen with an island, newly stained kitchen cabinets, brand new stainless steel appliances. Recent updates: new lighting fixtures, carpet, & freshly painted. Four bedrooms, including a master bedroom with large walk in closet, bathroom features whirlpool tub, and double sinks. 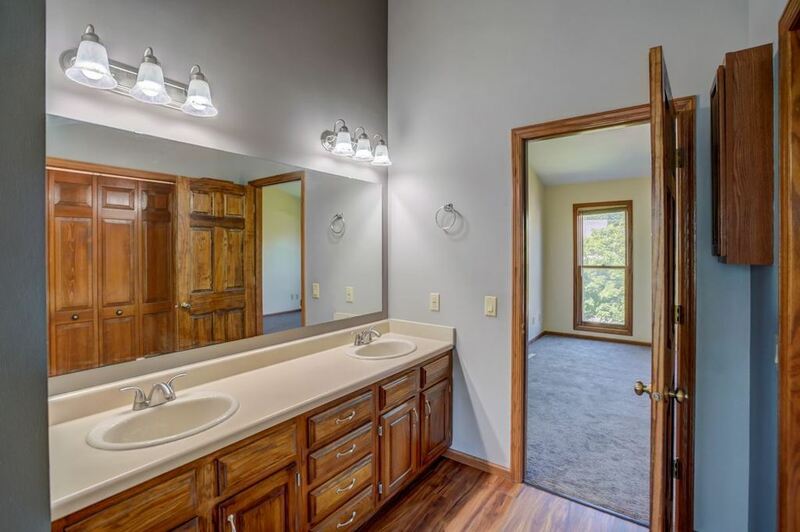 Lower level is completely finished with a full bathroom and plenty of storage. Enjoy cherry picking in your backyard & a cookout while kids play in the adjacent park. Fitchburg residents enjoy a variety of shops and restaurants including The Thirsty Goat, Great Dane Pub, Liliana’s Restaurant, Roman Candle and Fitchburg Ridge Shopping Center. Some favorite destination spots are Fitchburg’s Splash Pad at McKee Farms Park and the IMAX theater at New Vision Fitchburg 18. It is well known for its new public library with many activities throughout the year. Bike paths connect with Madison and Verona.